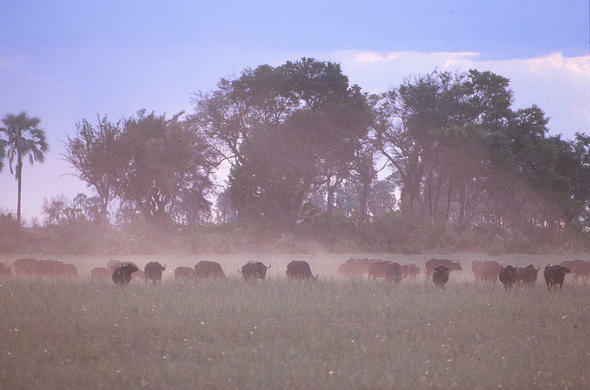 Chobe Journals: November 12: 'The floodplains were empty, cleared overnight, except for an itinerant impala herd. Yesterday clouds of dust could be seen all along the Chobe River from the herds that were coming down to drink but now there were no elephants or buffalo to be seen. Africa's greatest concentration of elephants had disappeared overnight. I could sense that the guests were disappointed but for me there was excitement at the ever-changing seasons of Africa'. A one-time stopover for wildlife in their constant search for food and water, the Chobe River became a dry season refuge for the wildlife with outbreak of the war of liberation in Namibia. Animals that crossed the river were shot for meat and tusks.